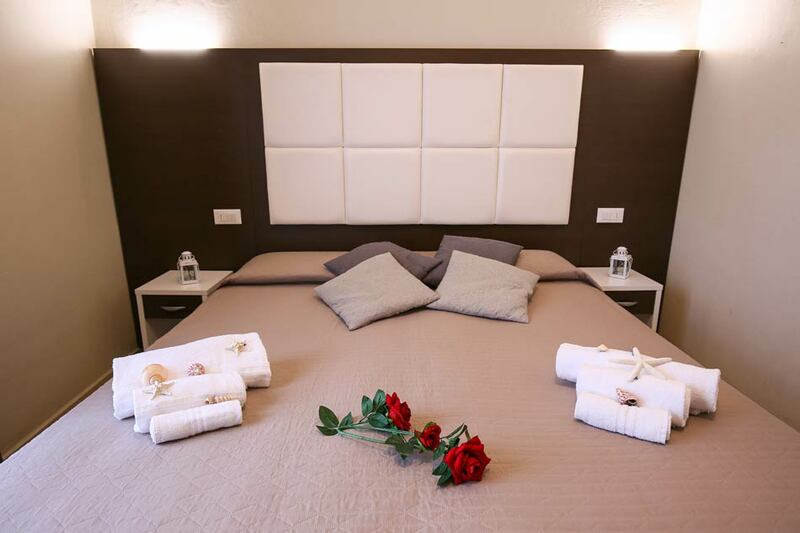 Bergamo Hotel, in Miramare di Rimini, provides you with 36 fresh and modern rooms with air conditioning and free Wi-Fi. Ready to enjoy a well-deserved and regenerating rest you have dreamt for long? Choose the room type which best suits you. Ideal for those travelling for short summer breaks, thermal treatments or business reasons all year round. 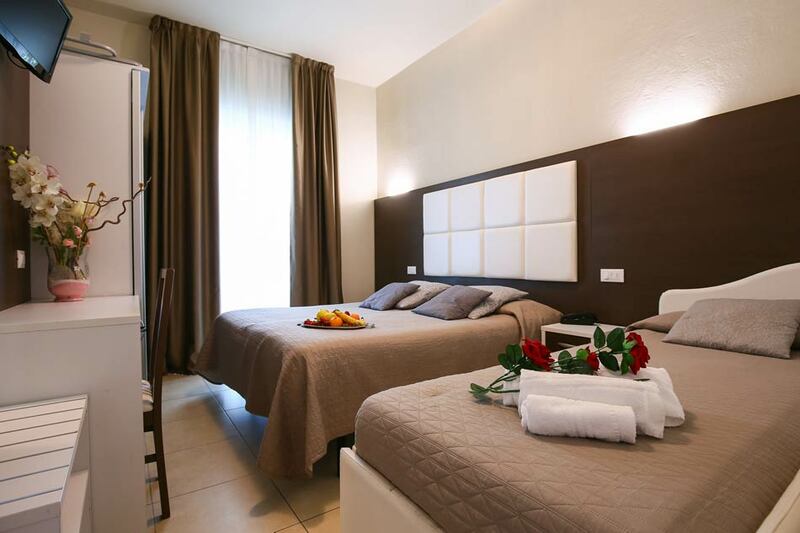 Our single rooms with balcony are furnished with a modern style. Designed for those who travel alone but seek double comfort. Double rooms for single use are spacious and feature a large double bed you can dive into after a day at sea, spas or theme parks. 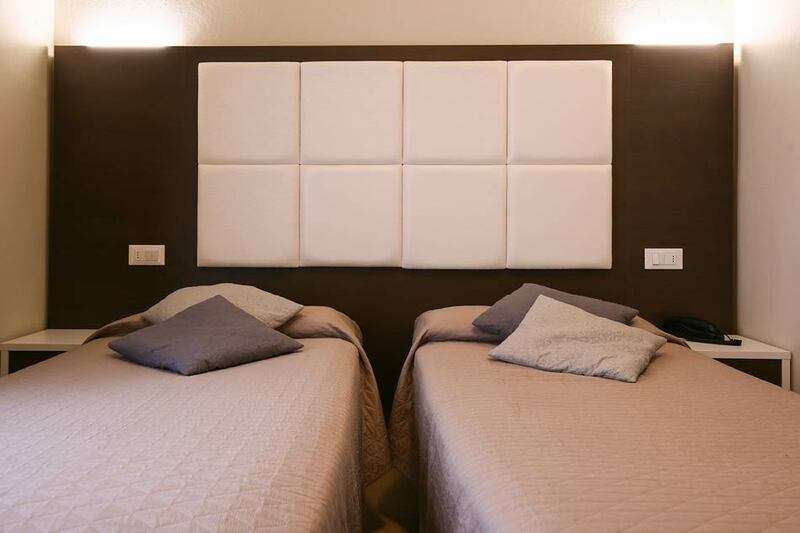 All is happier as a couple: in our double rooms, even comfort doubles. Elegant and modern rooms with single beds and desk. Couples of holidays always look for a pinch of romance, this is why our master bedrooms are designed just for them. Welcoming and refined with a double bed, desk and all the services ideal for a comfortable stay. 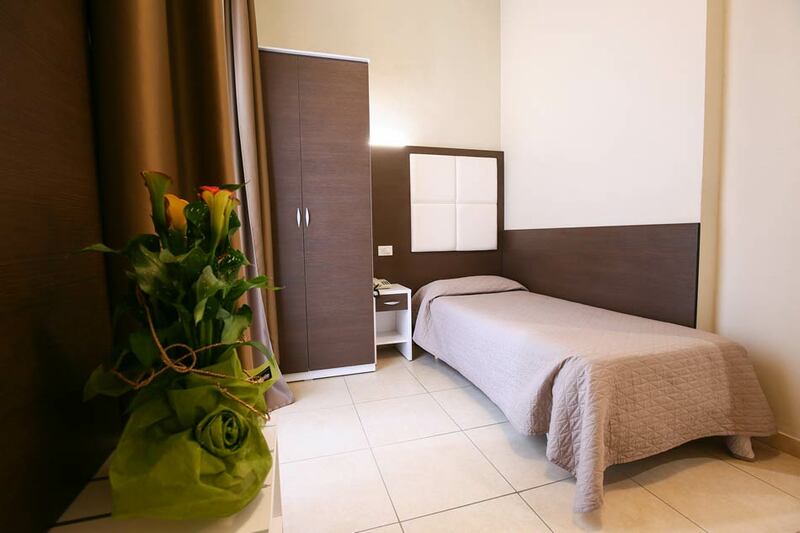 When you are three, you need more space and at Bergamo Hotel we provide a larger room with 3 single beds or a master bed with an additional single one. Our triple rooms are ideal for groups or families with one child or baby. Modern furniture and all desirable comforts. 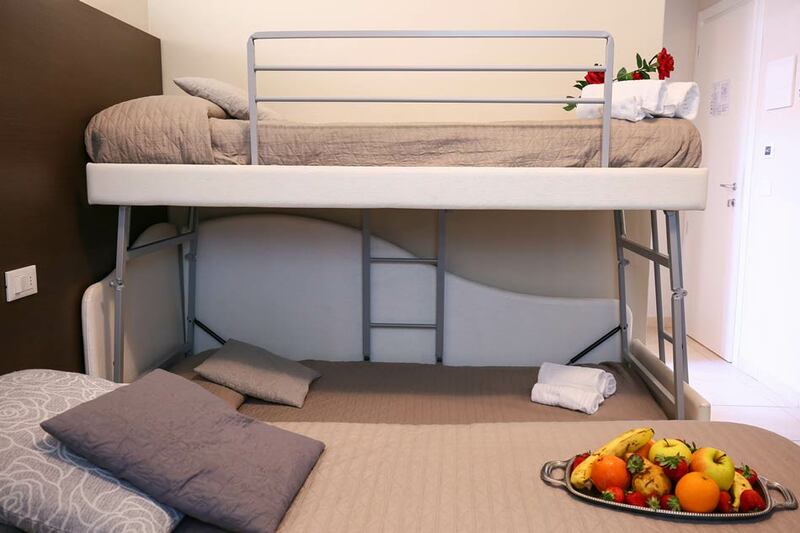 Quadruple rooms are the rooms dedicated to families: a master bed plus bunk beds with side rails for our baby guests. These rooms are modern and spacious.